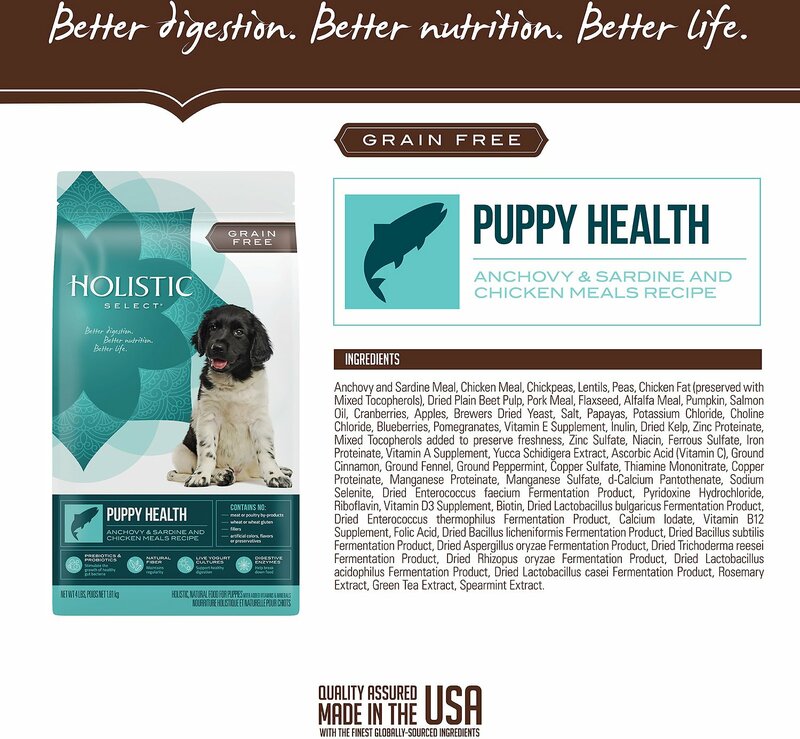 This Holistic Select Puppy Health Anchovy, Sardine & Chicken Meal Recipe is formulated with a unique Digestive Health Support System, including active probiotics, healthy fiber and digestive enzymes. When combined with the other high quality, natural ingredients, this recipe supports the absorption and utilization of vital nutrients throughout your puppy’s entire body. Your puppy will look and feel healthy from the inside out. Puppies over 50 lbs: Add approximately 1/2 cup for every 10 lbs over 50 lbs. As puppies grow up, they need to learn when, where and how to eat. Depending on age, puppies should be fed at the same time and in the same place, 2 - 4 times per day. Food should be removed after 20 minutes, if not eaten. In the beginning, puppy’s food can be moistened with a little warm water. Looking at the chart, divide the total per day by the total number of times you feed your puppy per day to determine the portion size for each meal. Keep a clean bowl of fresh water available at all times. 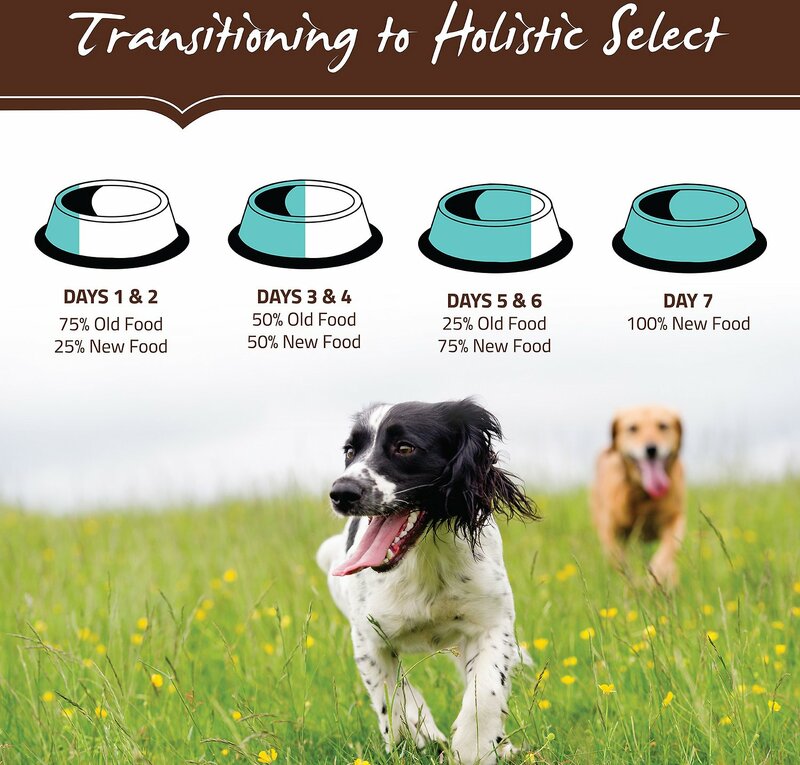 Holistic Select believes in feeding dry and wet food in combination whenever possible to help increase the level of water in your puppy’s diet. 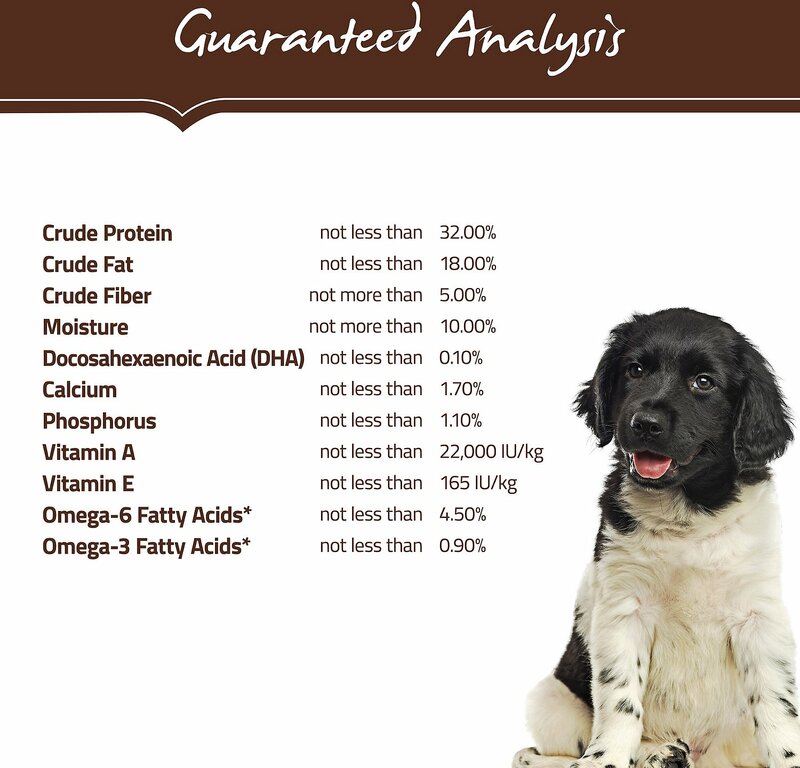 Every dog is different so optimal feeding amounts may vary with age, size and activity level. Please use this information as an initial recommendation only and adjust as needed. 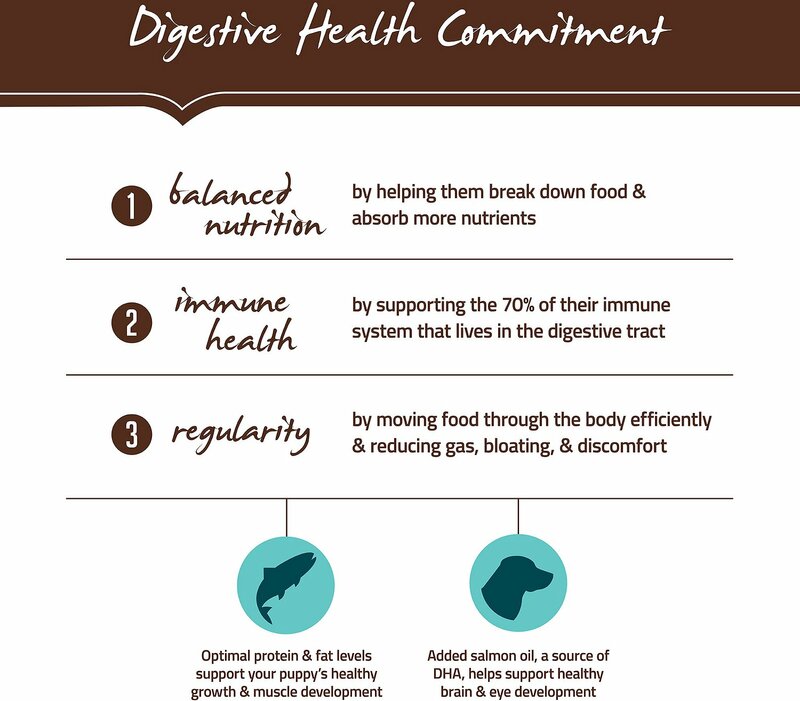 It is important to slowly transition your puppy from his/her current diet as it takes a few days for the body to adapt to the new nutrient levels. 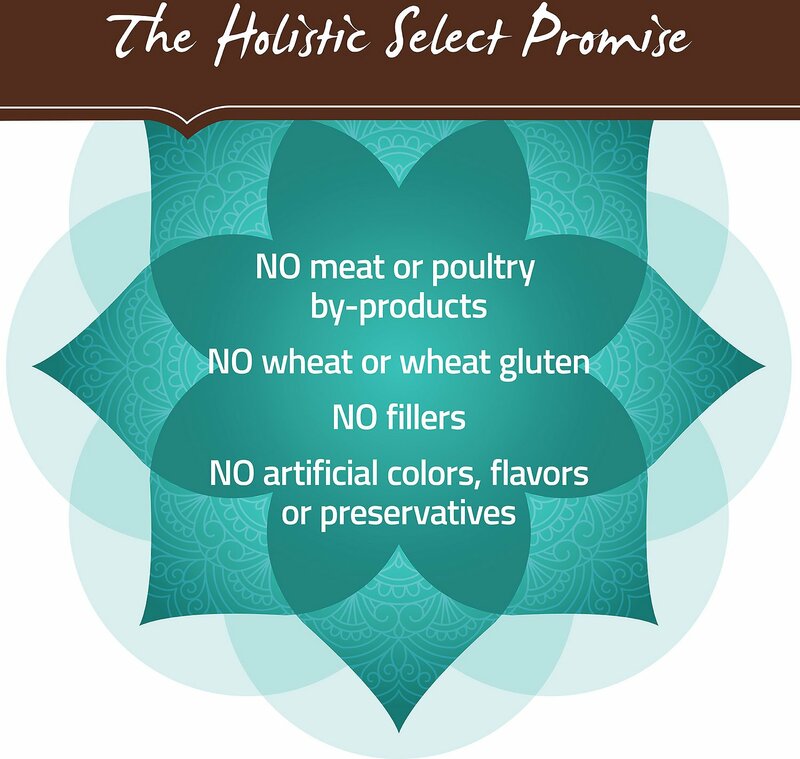 To transition, gradually mix in the new food over a 5 - 7 day period, increasing the amount of Holistic Select each day, so that you are feeding 100% Holistic Select by day 7. 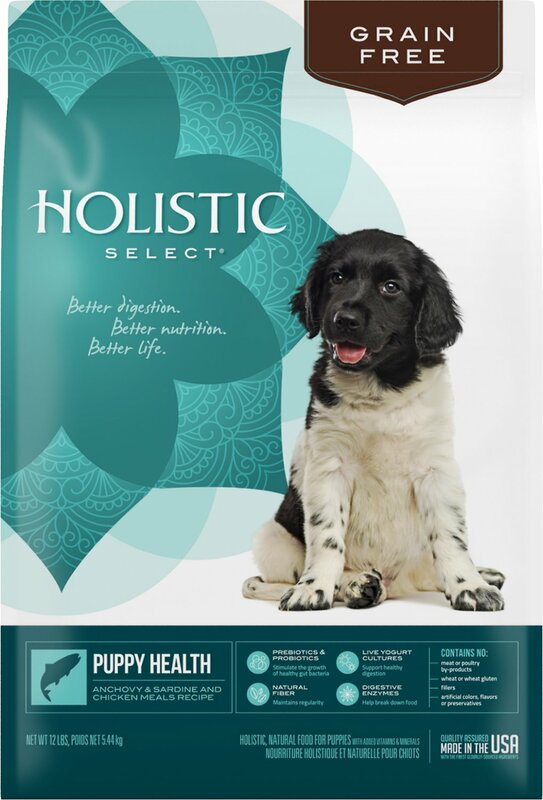 Holistic Select's Puppy formulas contain active probiotics and digestive enzymes to help support the absorption and utilization of vital nutrients throughout your dog's entire body. These recipes are specially formulated with increased protein and fat levels to support proper development and DHA to promote healthy brain and eye development. Not for large breeds over 70lbs it says it on the label" except for large breeds"
Last time I got the small/mini breed puppy formula for my chihuahua. She liked the food but seemed to want the bigger kibbles that my other baby eats. So I ordered this one this time for the bigger kibble and she eats this one with less coaxing. I mixed the remainder of the mini breed in with this. Great Food ,Best Service !!!!!! This is the best food for our Springer. His coat is bright and silky and his deposits are solid and healthy. However the best part was ,,, When the shipping was delayed, Chewy stepped up and refunded me a large percentage of the price to obtain food locally until my order arrived. Customer for life!!!! Love the fact it is US made! 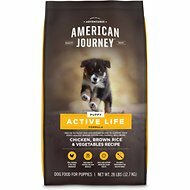 I was looking for an alternative good dog food to replace another that I thought was really good until I got a bad bag and it left my dogs really sick. So far I have been pleased and the dogs love it. My puppy loves this food. Not that he is necessarily picky, but it brings me peace of mind that he is eating a food made with quality products that are good for him. My super picky border collie loves this food! It's been a struggle to find something he actually likes, and he loves this food! The only complaint is have, is it stinks!! Probably why he likes it though! My puppy loves this food. My puppy is about four months old and probably didn't have the best start in life. She was a little thin and had a few minor health issues. I feed this brand of food to my older dog so I thought why not try it for the puppy. She loves it. When it comes to feeding time she always cleans her bowl now. Love it! I ordered this food because the Pet Advisor recommended it as a 4.5 star product. So far my toy Aussies barely eat it. So, I'm not sure if the product is good or not but my pups choose NOT to eat it. My puppy's breeder started my puppy on this food and I am continuing with it. She loves it and eagerly awaits mealtime. I was afraid the smell would be offensive but it really is not. My puppy loves this food . I once ran out and gave her Purina instead while I bought her regular food and she did not like it at all. No artificial preservatives or gluten enables a stellar digestive system and her coat looks really healthy too!